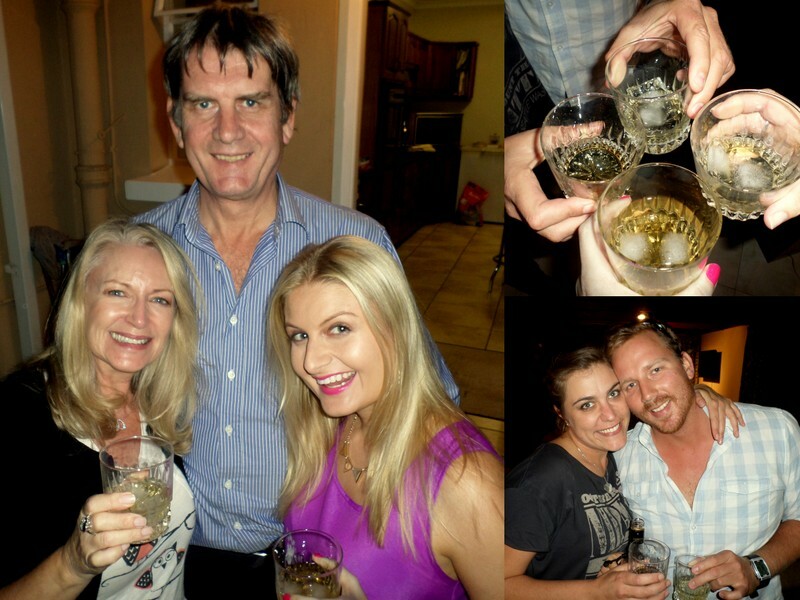 The family that drinks together stays together, right? Or maybe I just need excess amounts of booze to survive my family. Whatevs. Either way, I was very happy to lug a bottle of Amarula Gold off to the P of E to see my fam the other day. 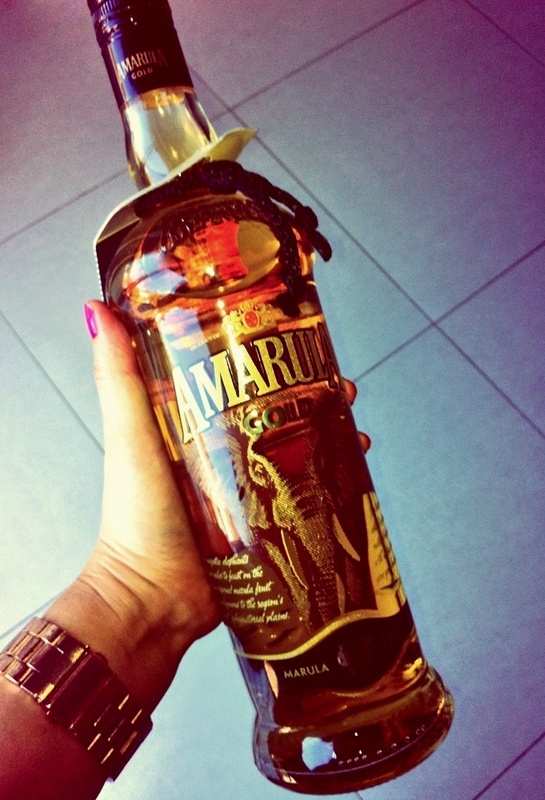 Amarula Gold, a fab new spirit version of SA’s favourite liqueur. I’d actually been given a bottle a while back but told the PR to sit tight as I’d just written two other dop-related posts and I didn’t want my bloggetjie to start looking like Boozing it up is my Life (as opposed to Lipgloss) even though there are times where it pretty much feels like it. Ma, Pa, ek, Gaylord and her mooi boyf. Anyway, fab taste aside, there’s another reason I love Amarula’s l’il newbie : it’s soooo easy to drink. Really. You can gooi it on the rocks and sip it nice and slow and be all ‘Look at me, I’m so freakin’ grown up and fancy. This might as well be whiskey in here. Except it doesn’t taste like kak’. The more the ice melts, the nicer it gets. Alternatively, you can mix it with pretty much everything. From Coke to lemonade to soda. Whatevs. This dude makes friends real easy. It’s the kind of thing that’ll go down a treat at an informal gathering like a braai. Or maybe in a hipflask at your friend’s kid’s super boring play. So, have you tried this boy? And if so, what did you think and how’d you end up drinking it? My sister always said I had a big nose and I didn’t believe her until I watched this video but ag wat, at least my hair looks good. The Amarula Gold looks delicious! I’m not going to South Africa anytime soon…but I’ll be looking forward to Amarula Gold when it comes to California. Hey guys.. I hope you will tell what to mix the “Amarula Gold” ? You have any suggestions? Excellent. I’m a Yank, and my daughter and son-in-law came back from a trip to Africa to introduce my grandson to his other set of grandparents. I requested Amarula brandy, if there was such a thing, and they brought me a bottle of Gold. Superb. Not a diabetic’s friend, but, you know . . .
Love that you’re enjoying it! Always makes me proud when yummy South African products get high fives from off shore. Cheers!